From Goodreads: Close Your Eyes, Hold Hands is the story of Emily Shepard, a homeless girl living in an igloo made of garbage bags in Burlington. Nearly a year ago, a power plant in the Northeast Kingdom of Vermont had a meltdown, and both of Emily's parents were killed. Devastatingly, her father was in charge of the plant, and the meltdown may have been his fault—was he drunk when it happened? 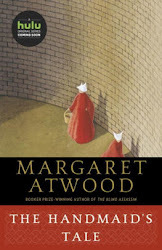 Thousands of people are forced to leave their homes in the Kingdom; rivers and forests are destroyed; and Emily feels certain that as the daughter of the most hated man in America, she is in danger. So instead of following the social workers and her classmates after the meltdown, Emily takes off on her own for Burlington, where she survives by stealing, sleeping on the floor of a drug dealer's house, inventing a new identity for herself, and befriending a young homeless kid named Cameron. But Emily can't outrun her past, can't escape her grief, can't hide forever-and so she comes up with the only plan that she can. 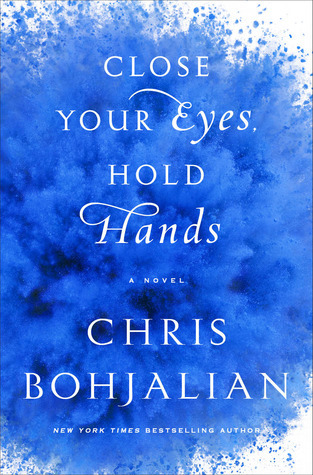 Waiting on Wednesday: New Chris Bohjalian Novel was originally published by Catherine for bookclublibrarian.com. This post cannot be published without attribution.